The Viper was designed to deliver fighter-jet looks and performance with low-wing sport aircraft stability so more pilots could enjoy flying a jet. 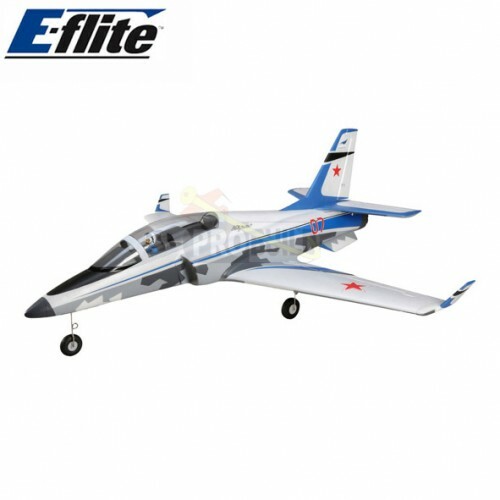 The E-flite®Viper 70mm EDF is true-to-form both in its appearance and how it delivers a high-performance jet experience like no other, whether you've flown many jets before or even if it's your first jet model ever. It delivers incredible speed, vertical performance and aerobatic capability while also being easy to take off and land-especially when it's equipped with exclusive AS3X® and SAFE Select®technologies. Plug-N-Play® This Plug-N-Play model comes with the fan, motor, ESC, servos, and retracts installed. All you need to do is complete some final assembly, install a receiver, charge a battery and fly.